Blaupunkt, German consumer electronics brands has entered the Indian market with the announcement of eight LED TVs. Today, at an event in New Delhi, the company launched their new range of TVs. The launch event was attended by Kiara Advani (Bollywood actress & Netflix sensation), and Dr. Jai Madaan (renowned motivational speaker and astrologer). The 55-inch 4K UHD LED TV and 50-inch FHD Smart Sound Series were unveiled and come with several modern features including AI capabilities and sleek charismatic design. The entire range of Blaupunkt LED Televisions that included the 4K UHD Series, Smart Sound Series, and Family series was unveiled and displayed as the Germans shared the features and USP’s of its all three series. 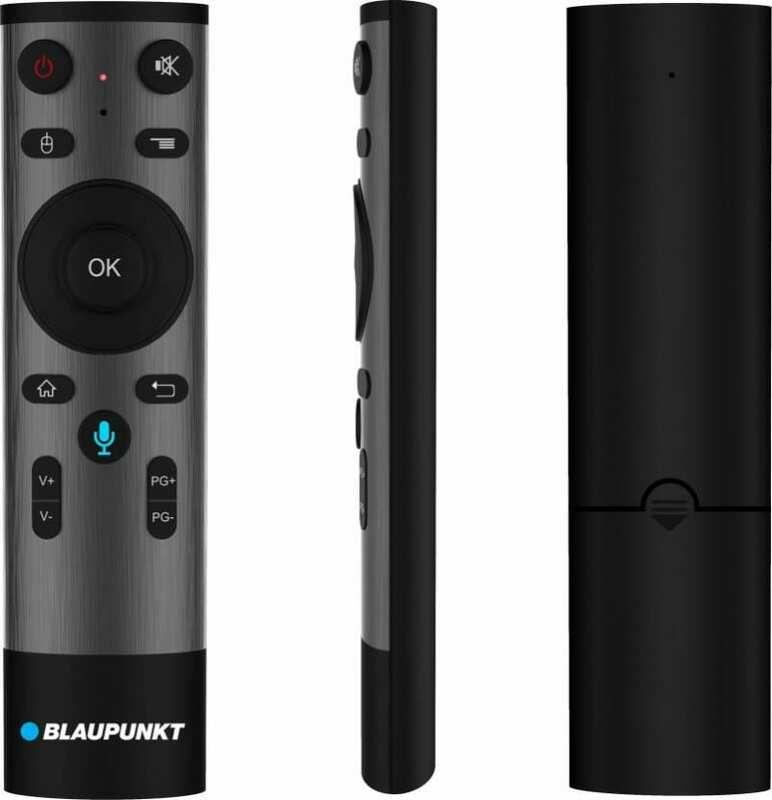 Blaupunkt’s LED TVs come in three series and eight models equipped with features such as bombastic sound quality with Soundbar, AI-based Hybrid Launcher, Voice-recognition smart remote, fine-tuned color variations, and comes with all its sleekness and sturdiness expected from a German brand. The 4K UHD Premium Series has three LED Models that have the inbuilt sound bar of 60 W— the 43-inch, 49-inch, and 55-inch, where 55 inch is the flagship model of Blaupunkt. It is also India’s first voice-enabled android open source television. The customers can now find the Broadcasted channels and Internet on the same platform with the ease of one remote. All these LED TVs offer high-resolution display, are Quad Core enabled and have 178-degree view angle. The 4K UHD Premium offers connectivity through WiFi, the Miracast option has multiple ports and RJ45 Ethernet. With the smart air mouse voice-enabled feature, search your favorite programs /apps in a flick of a second. The best part is that the 55” television has 60 W in-built sound bar so that you can enjoy brilliant audio output. The Smart Sound series has three models available in 32-inch, 43-inch, and 50-inch, having an additional sound bar, so a viewer can get 30+60 W sound output. The Smart Sound series comes with a FHD & HD resolution, supports WiFi, has Miracasting and 178-degree viewing angle feature and multiple ports option. It has two inbuilt box speakers that give a cinematic sound experience to the viewer. The connectivity features include three HDMI, two USB, and RJ45 Ethernet. AI-driven smart user interface helps viewers to get the best content from TV channels and internet on the same platform via the Universal search feature. The slim metallic bezel in this series makes the television aesthetically attractive. With smart air mouse, one can enjoy TV viewing experience. The Family Series includes 32-inch & 43-inch LED with a standard 30W sound output and carries similar specifications of other two series except for Inbuilt WiFi and Miracasting feature. 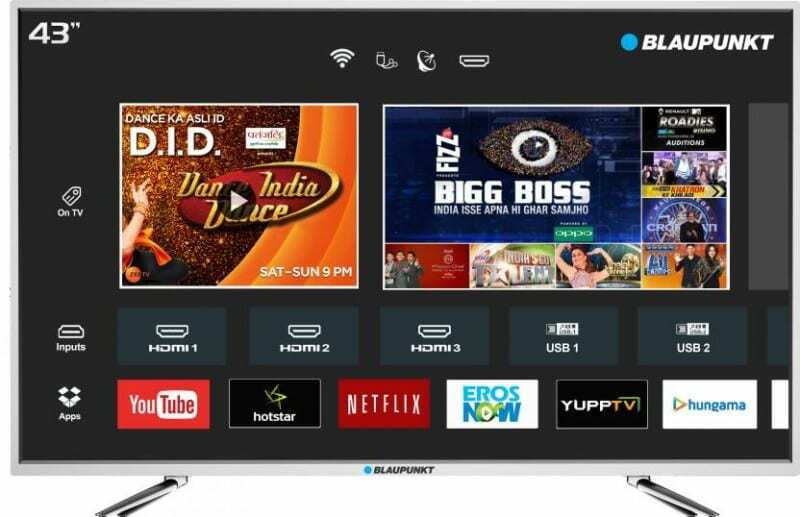 All the new Blaupunkt LED TVs will be available exclusively on Flipkart starting September 18, 2018.